What do you do if your antenna weights over 115 tons and needs to be dragged 5000 ft up a mountain? Check out this ALMA project antenna mover! 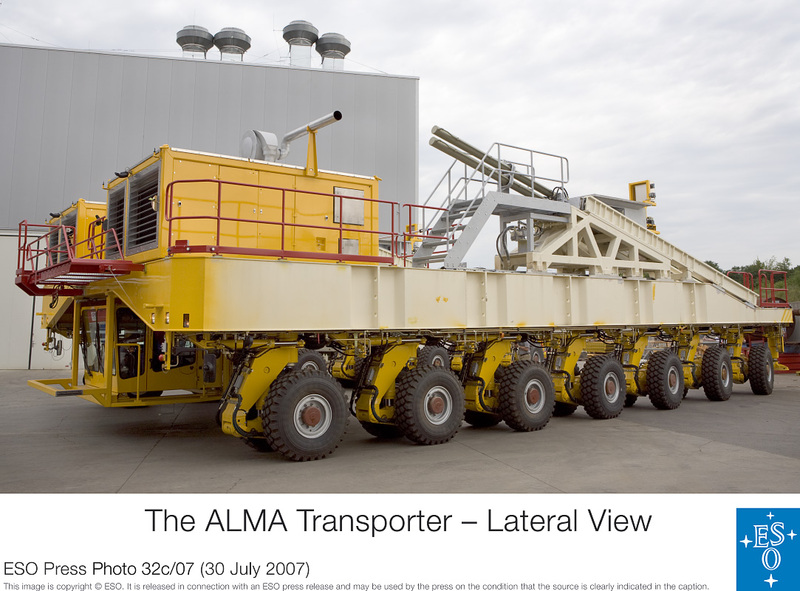 The ALMA antenna transporter is supported by 28 wheels, all independently driven. The ALMA transporter is able to turn around a 12-m antenna. This is required when the transporter has to remove or place an antenna in the middle of the most compact configuration, as in this case, the manoeuvring space can be as small as a few metres, which is not a lot for a 20 m long vehicle. A laser detection system is also installed on the truck to avoid collisions. In case of emergency, this system automatically stops the transporter. The sophisticated lorry has been optimised to reduce the cost of the road on which it circulates. Its relatively small weight of 130 tons is the result of a dedicated lightweight design. The transporter is also designed to resist to a major earthquake, as are all the ALMA antennas. Was on the air MUCH less than I had hoped over the IOTA weekend. Seems like summer contests/events are tough to free up enough time to enjoy. By the time I squeezed in Chores, a Work Project needing a few hours of weekend work, Rehearsals for Two Ensembles, a Concert with following Reception, a major family party, and a promised evening out with Alison, there was not much weekend left to do radio. When I did get on I found the propagation was a bit sorry. I think my “rate” was under 10 QSO/hour for actual IOTA stations and under 20 QSO/hour for combined QSOs. Pretty sad performance. Maybe for 2008 I can arrange things to be on an IOTA Island over ITOA Weekend and get some real radio time. I’ve been experimenting with using the W9INN Sloper to listen on 20m and then switching to the Tennedyne T-8 Log Periodic Antenna, after rotating, to do the actual QSO. A bit clumsy, as I have both antennas on the same feedline, selected by an Array Solutions RatPak 6n Antenna Switch. The omnidirectional nature of the longwire lets me listen from all corners, while the directivity and rejection of signals not in front of the Log Periodic make completing the QSO much easier. I’m thinking of taking this a step further with a better receive antenna, dedicating the spare feedline I had pulled when the tower was installed. If you caught my earlier post “Over Under Sideways Down – Honey that Cable had to go Somewhere!” you may have caught how I had redundant wire pulled, with a spare for each wire I intended to use. Given the labor & difficulty of installing the cables, the added materials seemed a good deal. I’m looking at DX Engineering’s Receive Four Square Array Packages as an option. I’m just not certain how to configure it given my yard is under 2 to 3 feet of snow every winter. ComTek Systems also has specialist Four Square Antennas, but with transmit capabilities. And Array Solutions has a neat AS-AYL-4 4 direction Low Band Receiving Antenna option. Which ever way I go I better get my skates on, as I’m down to just August through October for prime antenna installation weather. Of course to be a good amateur I should wait until it is below zero to install, hi hi! We all have experienced hardware/software combinations where the same setting can be adjusted at several places and at several levels. One many of us are familiar with is soundcard settings on PCs or Macs. When running iTunes on my MacBook using a USB Headset I think there are no less than four places to adjust volume, and two or three levels of sound settings. The headset has a manual control that adjusts the master output volume of the machine, that same setting is adjustable from System Preferences and a drop-down from the status bar, iTunes has a volume adjustment, and if a person really wanted to mess with things each iTunes track has a relative volume configuration! Set up a digital mode interface and you will find the same tiers with several influences in Windows. I was reminded that many desk microphones have an independent “mic gain” setting, usually a manual pot adjustment, that can badly interact with if the rig’s master mic gain is set incompatibly. One of our club members asked for help testing his desk mic, as with the desk mic he was receiving very poor audio reports, but with the fancy rigs original hand mic people were complementing the audio. Another club member offered to check out the desk mic by using it with his rig. When the mic was brought over he had a small screwdriver out and ready, as he knew their was the double-mic-gain adjustment issue to check first. Happily once the desk mic’s mic gain was adjusted to mimic the gain of the original hand mic all was well! One wonders why system designers and manufacturers seldom take the time to identify “chains of interacting adjustments” in manuals and in user interfaces? Certainly it would be cost effective to eliminate the needless support calls. USB aware software identifies to the model which of my USB headsets I have plugged in, shouldn’t they be aware enough to have coded in the logic that the headset itself can control volume? Many Digital Interface manufacturers supply software with their product. Couldn’t they have that software explain the chain, or even take some control of it? There is the issue of settings that don’t stay set when several programs all adjust settings to suit them, without returning the settings to how they were found at program termination, but that is for another post. High Speed Broadband During Next Washington Island Activation Trip! Fantastic news, during the next Washington Island WI-001L Island Trip I will be able to use High Speed Wireless from the Island’s Motorola Canopy Broadband. Provided by ISP (Internet Service Provider) DCWIS, the W9EVT/WI9DX Shack is now outfitted to use this system as nearly its highest through-put. This will be luxury comapred the the very weather sensitive and stumbling Satellite Internet that was the only option to Dial Up on the North Coast of the Island. Though the South Coast and Main Village on the Island have had the DCWIS Wireless available for several years, the recent commissioning of new towers has brought Broadband to the less populated areas of the Island. This will mean an opportunity for real time logging to LoTW, eQSL and to the iChat system I use to keep in touch with relatives and friends around the world! It also opens up opportunities for a linked-repeater project for the Island – something we will be talking about in earnest when I am next on the Island in a few weeks. 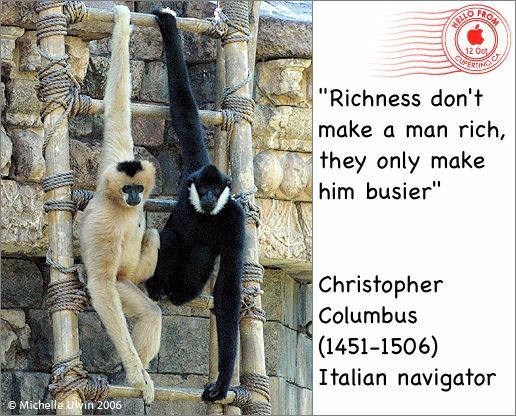 It is nice to be in the “Fast Lane” even when staying in a remote location!